is at your local WindMill, of course. 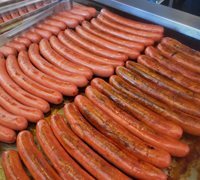 We believe one of the reasons our Hot Dogs taste sooo delicious is the manner and time that go into cooking them. Most likely you do not have a flat grill (the type that is used in our restaurants) but if you place aluminum foil under WindMill Hot Dogs when cooking them, you can simulate the effect. The hints below refer to a barbecue, but the Hot Dogs can also be prepared indoors under the broiler (keep the hot dogs on a low shelf so they can cook slowly) or by any other method you may find that works for you. Unfortunately the only way to guarantee that authentic WindMill flavor is to have you visit a WindMill Restaurant. However, if you follow the hints below, your Hot Dogs should provide you with an experience close enough to satisfy your WindMill craving! Indirect heating (not placing the hot dogs on an open flame)is the best method for cooking WindMill Hot Dogs. 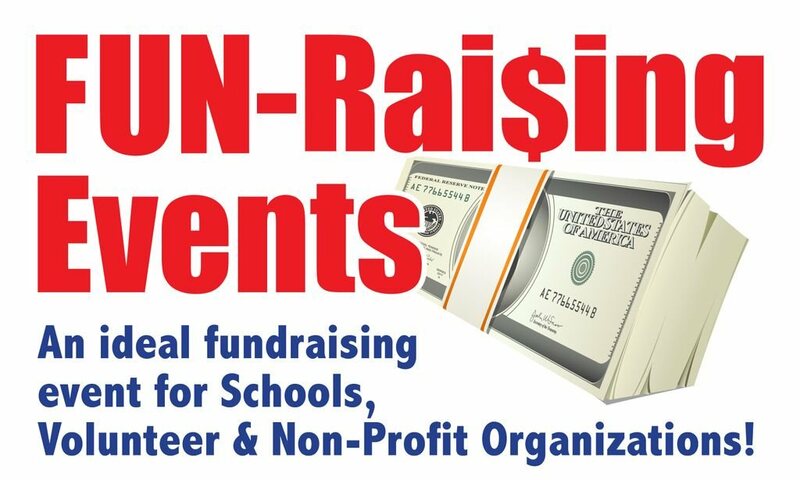 This can be achieved in several ways. The easiest method is cooking your WindMill Hot Dogs on foil on the upper shelf of your barbecue. Be sure to turn your WindMill Hot Dogs often to ensure maximum WindMill flavor! If a shelf is not available, try to heat only one side of the grill and place the Hot Dogs on foil on the other side of the grill. Since each grill is different it is difficult to suggest the time it will take to cook the Hot Dogs. 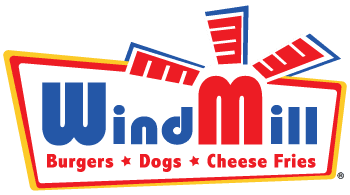 Your WindMill Hot Dogs will be done when they begin to expand and eventually split. If you prefer a BBQ flavor or if you are in a hurry, place your WindMill Hot Dogs on foil directly on the grill, but be sure to tum them regularly and often or the side that is touching the grill will bum. No matter which method you decide to use, remember the secrets to cooking WindMill Hot Dogs: USE AN INDIRECT HEAT SOURCE AND TURN THE HOT DOGS OFTEN *Favorite expression of the late Leo Levine, Co-Founder WindMill Gourmet Fast Foods.